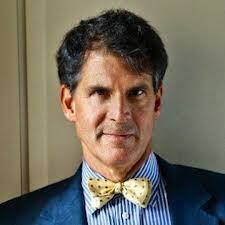 Dr. Eben Alexander coming to OC IANDS next year! Dr. Alexander, author of Proof of Heaven: A Neurosurgeon’s Journey into the Afterlife, will be speaking at OC IANDS either in April or May 2014. I’ll keep you posted. Dr. Alexander’s website is www.lifebeyonddeath.net. Mark your calendars now, The Afterlife Convention in Santa Monica, CA is scheduled for Saturday, September 28, 2013, 10am – 6pm. The Convention producer is Richard Martini, Author/award winning filmmaker of Flipside: Journey to the Afterlife, which explores startling new evidence for life after death. This Convention is for those with a legitimate interest in exploring the evidence for a life after life, watching a demonstration and engaging with like-minded people who are not afraid to question the conventional wisdom. Unlike so many gatherings that explore similar themes, the Afterlife Convention will talk about fact-based realities based on eyewitness accounts. Early bird registration fee for one person is $100. You can save a few shekels by registering with one or two friends. Click on the Registration tab for pricing. Scott is a spiritual hypnotherapist, featured in the documentary “Flipside: Journey Through the Afterlife” by Richard Martini, which you can view at no charge by clicking on the link. Runs 1.5 hours. On June 8th, Scott will give a talk about ‘life before lives’, spirituality, and hypnosis followed by leading the audience through a hypnotic process. It will consist of a brief past life regression leading to the spiritual state between. Life Between Lives is a hypnosis technique that connects you to your soul awareness. Guided into the spiritual state between lifetimes, you can communicate with your own personal spirit guide, greet your beloved soulmates, and consult advanced spiritual masters known as Elders. You have opportunities for learning, healing, and tracing the threads of your own soul history. Most importantly, you can better understand your path and purpose in your current lifetime. This group hypnosis will run one hour, an abbreviated experience from what one would have during a private session with Scott which can run four or so hours. Afterwards, those who would like to can share and talk about their experiences, and ask questions. Scott was trained by Michael Newton, PhD., author of the classic book “Journey of Souls”, which chronicles his discovery and development of the LBL process. In a career spanning some 30 years, Dr. Newton found a remarkable consistency in his clients’ experiences, regardless of religious or philosophical beliefs. Spiritual energy will be transmitted by Sukyo Mahikari practitioners prior to our meeting, from 11:45 AM and ending at 12:50 PM. As always, there is no charge. Each session runs approximately ten minutes. If interested, a reservation is required by emailing Tom Michaelsen at tomm7@earthlink.net. Sukyo Mahikari is the giving and receiving of positive, spiritual energy transmitted from the palm of the hand toward the receiver while both sit on chairs. The energy transmitted purifies and revitalizes the spirit, mind, and body. You are welcome to invite your friends and family to receive light. It is not necessary to stay for the OC IANDS meeting afterwards, although all are welcome. For more information on Sukyo Mahikari, click on the link below. Snacks are provided on a volunteer basis. Bottled water will be provided. You’re welcome to bring lunch or a snack for yourself to eat during the meeting. We encourage a donation of $10 per person but no one is turned away. 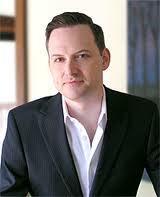 Attorney and intuitive, Mark Anthony, is interviewed in this one-hour podcast on WebTalkRadio. Despite doubts over whether an after-life is real, critical thinkers, such as Anthony, demonstrate that a real spiritual world exists. News from OC IANDS Is this email not displaying correctly? In 1998, Cristael Ann Bengtson had a luminous near-death experience where she was lifted up into a beautiful Light that enfolded her in pure divine love. Where most near-death-experiences are the beginning of profound life changes, Cristael’s NDE was a culmination of a lifetime of mystical and out-of-body experiences. Throughout them all, she was loved with a love that was like glorious golden light that poured into her, filling her with the knowing that she was loved in a way that no human love could equal. The experience of that loving Light was so beautiful, so powerful, and so clear, that the memories of Cristael’s experiences have never faded over the years. You won’t want to miss Cristael’s extraordinary story. Questions and answers will follow her talk. 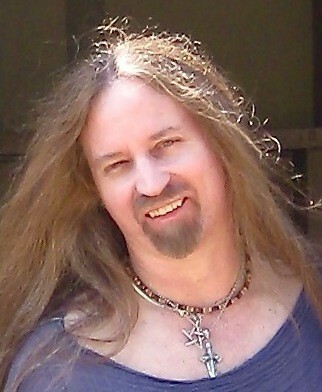 Cristael is the author of Sacred Light, Spirit Eagle: My Visionary Life and Near Death Experience. Please note that the Sukyo Mahikari practitioners who transmit spiritually energy, will not be available at this meeting. They will be available on June 8, 2013 in the hour prior to the meeting. As always, there is no charge. If interested, please reserve a spot by emailing Tom Michaelsen at tomm7@earthlink.net. Sukyo Mahikari is the giving and receiving of positive, spiritual energy transmitted from the palm of the hand toward the receiver while both sit on chairs. 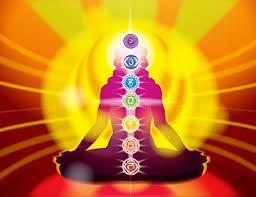 The energy transmitted purifies and revitalizes the spirit, mind, and body. You are welcome to invite your friends and family to receive light. It is not necessary to stay for the OC IANDS meeting afterwards, although all are welcome. For more information on Sukyo Mahikari, click on the link below. SNEAK PEAK FOR OUR JUNE MEETING – On June 8, 2013, our guest speaker will be Scott de Tamble, a clinical past life regression therapist who guides clients not only through past lives but to the in between life state where our souls live, a process that helps us understand why we’ve chosen our current life. He worked closely with filmmaker, Richard Martini and participated in Martini’s most recent documentary, Flipside: A Journey to the AfterLife. Scott was trained and certified by world famous Michael Newton, Ph.D., author of Journey of Souls. Reminder, bottled water will be provided. Bringing a snack to share is on a volunteer basis. You’re welcome to bring lunch or a snack for yourself to eat during the meeting. Also, be sure to subscribe to www.OrangeCountyIANDS.com, our website. There will be some overlapping of meeting notices, but otherwise, will offer all kinds of information and resources of interest. We are always looking for generous souls who have had a near-death experience willing to share it with our warm, appreciative small group. Could that be you or someone you know? Call Robin at (949) 855-1102 or send an email to robin@robinbarr.com. Nancy Danison will be our featured guest speaker via Skype in early 2014, the date to be determined. Be sure to subscribe to this blog, http://www.OrangeCountyIANDS.com and/or request to be added to our meeting notice list by sending email to: robin@robinbarr.com. Does God Control Our Lives? I recently read a near-death experience book that portrayed the author’s life as a series of events directed and controlled by God–a traditional religious belief. That got me thinking about how seeing the same events from a different perspective can make a world of difference. It can literally turn a victim into a powerful spiritual force. Many of us believe that God micromanages our daily lives. God decides what good events we will experience and punishes us for transgressions or omissions with bad events. This viewpoint is chock full of beliefs that we are cut off from our Creator, isolated, controlled by a being outside ourselves, and powerless to change our lives because they are dictated by someone else. In essence, we are victims of God’s whim. While in the afterlife, I learned that such beliefs are the result of human fear and superstition. And they can be corrected through enlightenment. The “knowings” I received while living in the afterlife taught me a new model of our relationship with our Creator. I was shown that Source is an all-loving, and not controlling, immense intelligent energy field with emotions, imagination, and life of its own. Source has an innate personality or set of character traits that are immutable and constitute its “core” consciousness. In addition, Source has created within its own mind all of the personalities/characters that we call “souls.” We are those souls within Source’s mind; we are parts of Source. And we have been given complete free will to pick and choose the events of the physical lives of the creatures we inhabit. We either allow the host body to lead its animal life with us just going along for the ride, or, we manifest into physical reality what we truly and deeply believe about human life and ourselves within it. So, because we are parts of Source’s mind, and we have the ability to control the actions and lives of the human hosts we inhabit (whether we exercise it or not), Source in a very limited sense does control human lives through us. The difference between this model of life, and the religious model, is who has the power. In the religious model, God is all powerful and we are powerless. The religious model assumes that the core consciousness of Source directs and controls everything in the physical world. In the model I was given in the afterlife, we ARE parts of God and are therefore powerful spiritual forces ourselves. We direct and control our own lives as Source. Nanci L. Danison, JD, afterlife experiencer, attorney, and author of BACKWARDS: Returning to Our Source for Answers, BACKWARDS Guidebook, BACKWARDS Beliefs: Revealing Eternal Truths Hidden in Religions, and the Light Answers to Tough Questions series of CDs and DVDs (A.P. Lee & Co., Ltd., Publishers). Visit me at www.BackwardsBooks.com or watch me on YouTube.Subscribe to this newsletter at www.BackwardsBooks.com. Nanci describes our five spiritual superpowers of multiple simultaneous levels of awareness, the ability to access universal knowledge, the ability to manifest physical reality, self-healing and unconditional love. Recorded live at the Universal Light Expo. Order at www.BackwardsBooks.com or at www.APLeeCo.com. My first two books are also available in KINDLE versions. BACKWARDS Beliefs will not be out in Kindle for a year or more because it takes a long time (and a lot of money) to get permissions from the publishers whose authors I quote to publish an electronic version including those quotations. 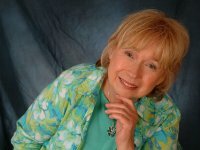 www.APLeeCo.com or www.BackwardsBooks.com for more information about Nanci L. Danison, her afterlife experience, her workshops, and her books, CDs and DVDs.